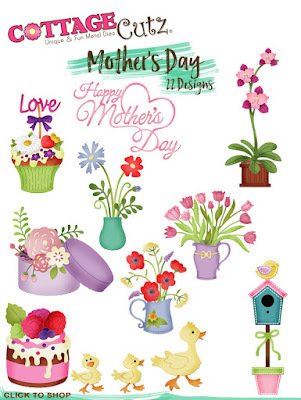 There are 22 dies in this release that includes 3 Mothers Day phrase dies. All the other dies could be used year round for a variety of occasions as you will see with these DT cards. We have had a good response when we do a group post on a release. It gives you the opportunity to see more card samples from the Design Team. So we are continuing that again this month. The Design Team will start showing cards with the "Just For Guys" dies next week. There are 4 samples for today from our talented Design Team members Jeanne Knobbe and Pam Mackay. Card 1: This first sample is from Jeanne Knobbe. She used the Stitched Birdhouse die. It's perfect for new neighbors and a great way to welcome people to the neighborhood. 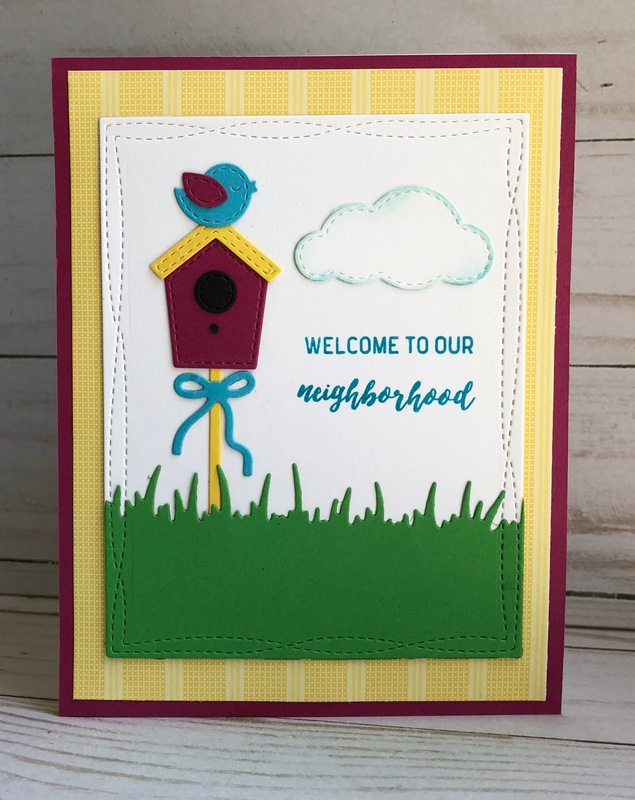 The card also features the Spring Grass and Nested Wacky Stitched Rectangle dies. Jeanne cut two rectangles from the Wacky Rectangles and used partial die cutting with the Spring Grass die to get the grassy bottom. Her card colors are from the Splitcoaststampers color challenge #689. 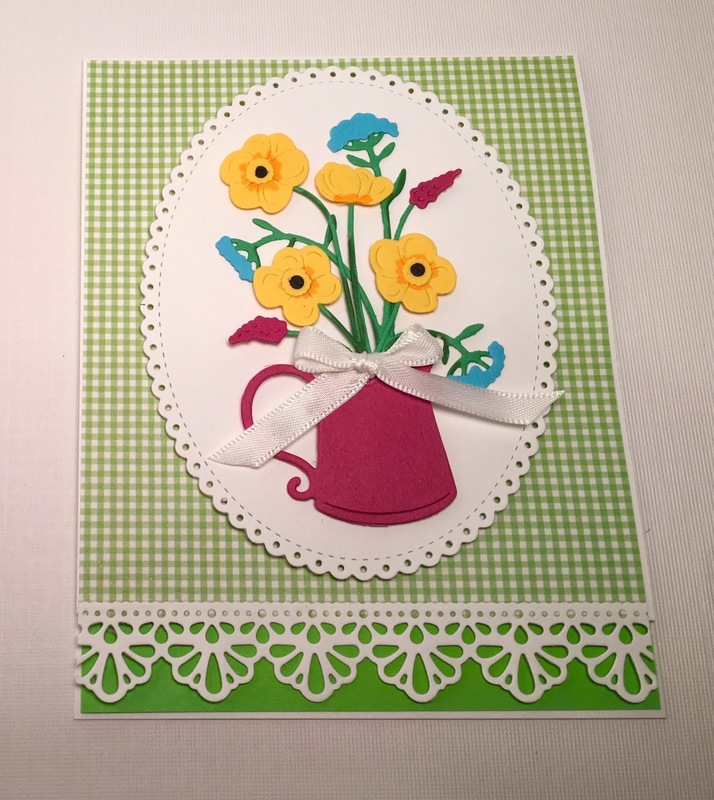 Card 2: The next sample is another beautiful one from Jeanne Knobbe. She used the Berry Cake, Mother's Day Cupcake, Love Hearts, Sweet Phrase and Scalloped Circles dies to create a card for a special friend. 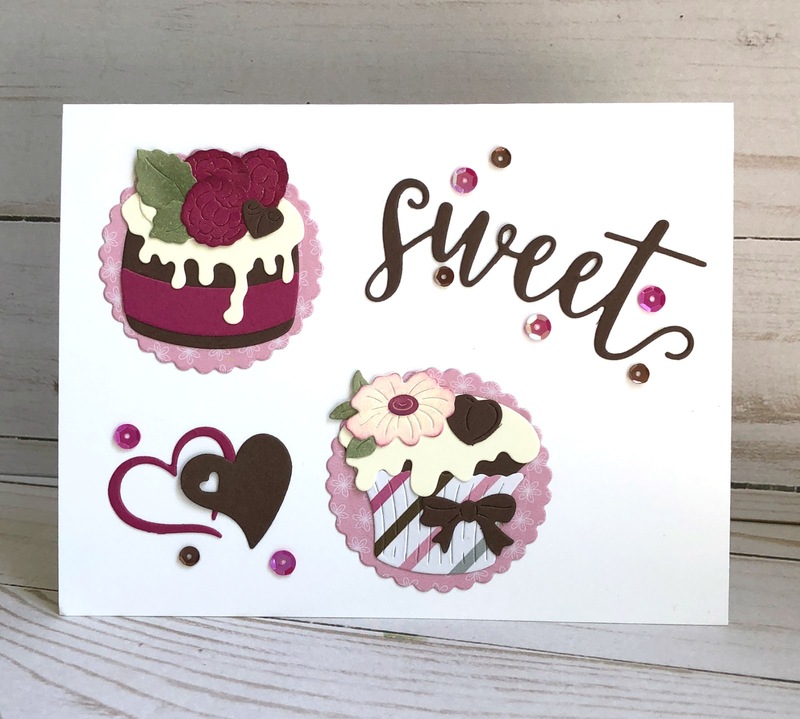 This card could be used for a birthday card, thank you card, or just to let someone know they are special. 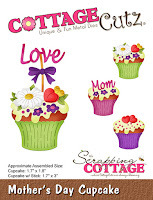 The berry cake and cupcake are so detailed with the added berries, flowers and icings. Card 3: Our next sample is from design team member Pam MacKay. 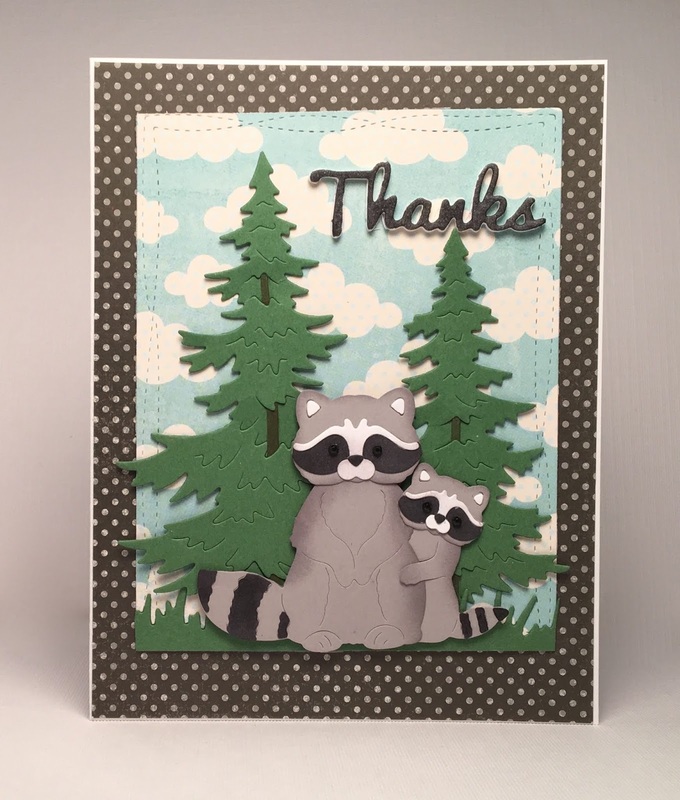 She used the Mama Raccoon & Baby to create such a cute outdoor scene. The trees just completes her scene so well and they are part of the Rustic Sign & Trees die. A perfect thank you for the outdoors person. Or how about as thank you cards from a new mother for a baby gift. By changing the sentiment you could make it a birthday or get well card. Lots of possibilities with this die. Card 4: Our last sample for today is another from Pam MacKay. 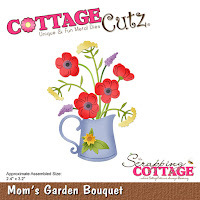 On this one she used the Mom's Garden Bouquet to create such a pretty, feminine card. The colors for her card are also from the Splitcoaststampers color challenge #689. The addition of the stitched eyelet oval draws your eye right to the bouquet and the fancy floral lace border just adds to the feminine appeal. Think birthday, get well or a card just to say hello as some possibilities with this die. I hope the samples shown today have sparked some ideas for alternate ways to use these new dies. They are all so beautiful and the detail in all of them is amazing. All of the dies used on today's cards are on sale. Check out the online store for the exact savings. All cards are very nice. Well done, ladies! All of the cards are so gorgeous! I do love the group release posts to see all of the inspiration! Love that racoon card Pam! So cute! Four great examples of what you can do with this release. 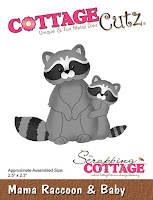 Love the raccoons! The cards are beautiful! You did great job!